phase-space analysis and spectral analysis. 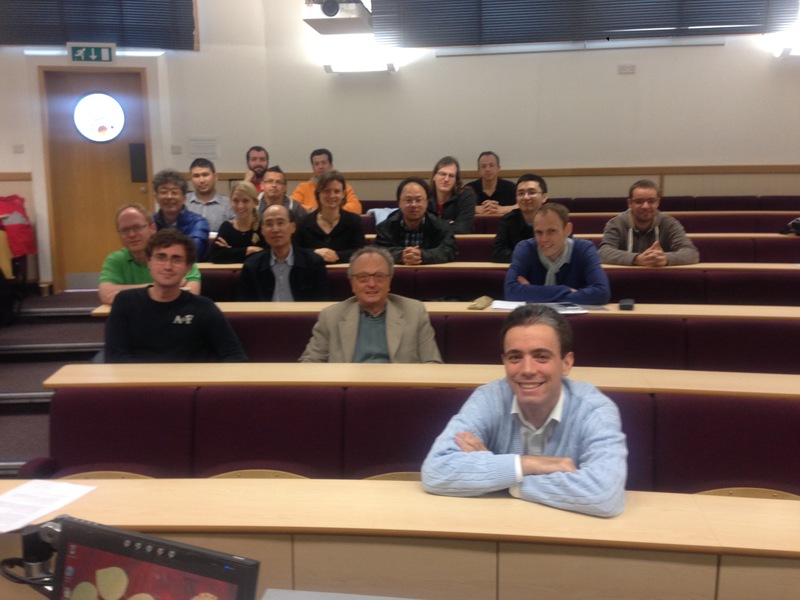 A one-day meeting in Harmonic Analysis and PDEs (LMS network) will follow on Thursday 30 June. Professor Fulvio Ricci (SNS, Pisa, Italy) will participate in the workshop and be the meeting's plenary speaker. Both events are open to anyone interested. Find the pdf of the presentation here, and the arXiv reference here. Find the pdf of the presentation here. More detailed programme here, including the abstracts of the talks. A modest poster announcing the event can be found here in pdf and here in html. The photo taken at the end of the workshop can be found here. Campus of the University of Bath, Bath BA2 7AY, UK. Find travel advice here, in particular a map of the campus. then enter Building 4 West and ask for directions at the maths central office. Building 6 West is the first building westward of Building 4 West. Tilleys Bistro, 3 North Parade Passage Bath BA1 1NX. Office Number 3.40 in Building 4 West on The Parade, Campus of the University of Bath. Postal Address: University of Bath, Dept of Mathematical Sciences, Bath, BA2 7AY, UK. and the Faculty of Science of the University of Bath (Starting Funds of Dr V. Fischer).